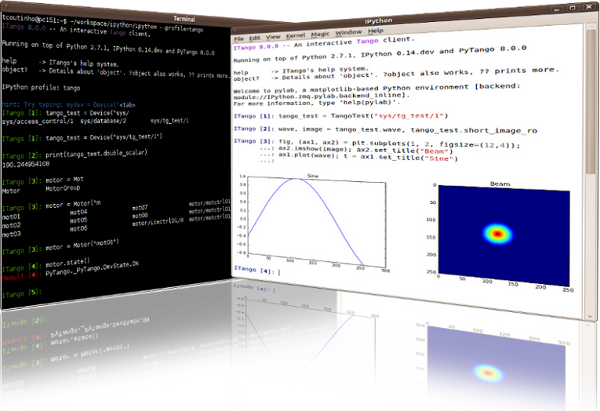 PyTango is a python module that exposes to Python the complete Tango C++ API. This means that you can write not only tango applications (scripts, CLIs, GUIs) that access tango device servers but also tango device servers themselves, all of this in pure python. >>> # Synchronous but green! >>> # Synchronous, but green! Check out the getting started guide to learn how to build and/or install PyTango and after that the quick tour can help you with the first steps in the PyTango world. If you need help understanding what Tango itself really is, you can check the Tango homepage where you will find plenty of documentation, FAQ and tutorials.